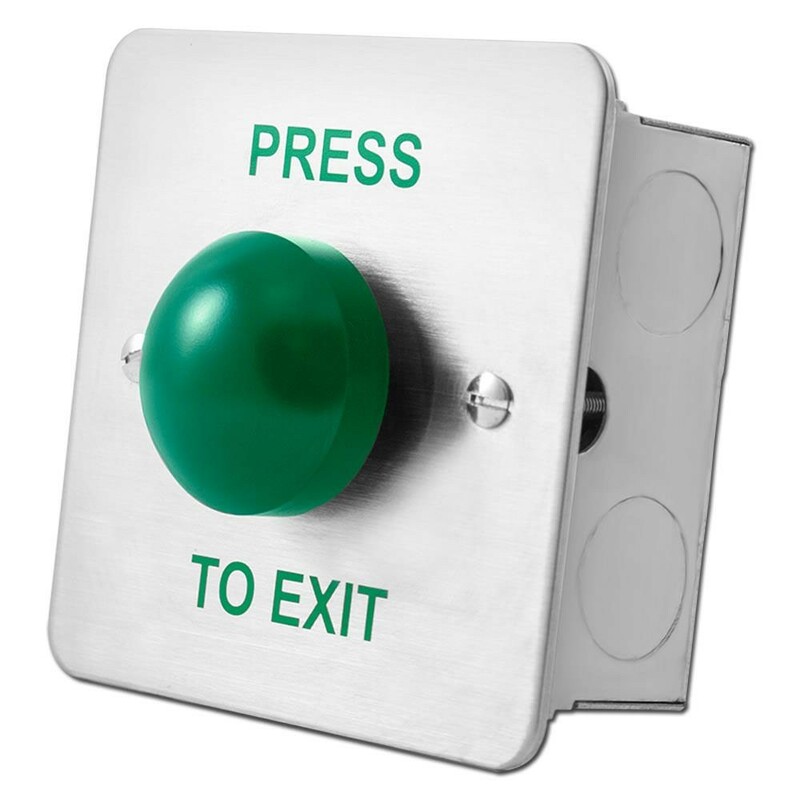 The Asec Stainless Steel 1 Gang Green Dome Exit Button has a momentary actuator so is pushed to operate and then springs back into the original position once released. Flush mounted (surface box available to order). suitable for indoor and outdoor use. Weatherproof to IP67 (ingress protection) from front only. Sealed contacts. N/O & N/C contacts. Momentary button.